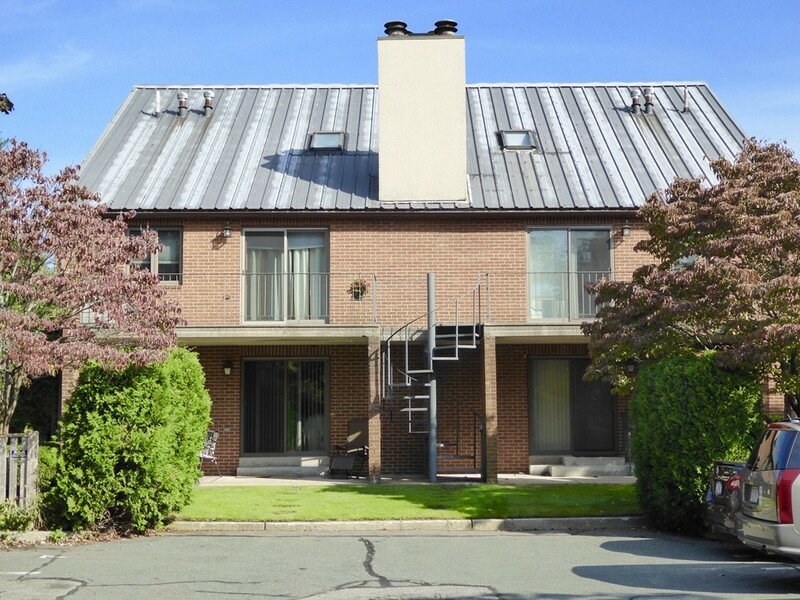 Located in the heart of downtown where all the action is, yet secluded & tucked away is this upper-level Townhouse style unit with great natural sunlight. Living room features Cathedral ceilings, a wood-burning fireplace, and sliders leading to balcony/deck; an open floor plan to the dining room that's adjacent to the remodeled kitchen featuring custom Hardwood cabinets, solid-surface counters, under-mount sink, overhead recessed plus under-cabinet lighting. Two bathrooms; one on each level. Main level second bedroom, or use as a den/at-home office. Large, open concept Master BR on the second level with walk-in plus double wide closets. 3 wall AC units. Washer/Dryer is located within the unit. Heat & Hot water is included in the condo fee. One-car deeded parking with guest parking. Deeded locker storage in basement. Live just steps out your door to historic downtown Salem with all its offerings! Per association docs no dogs are allowed.